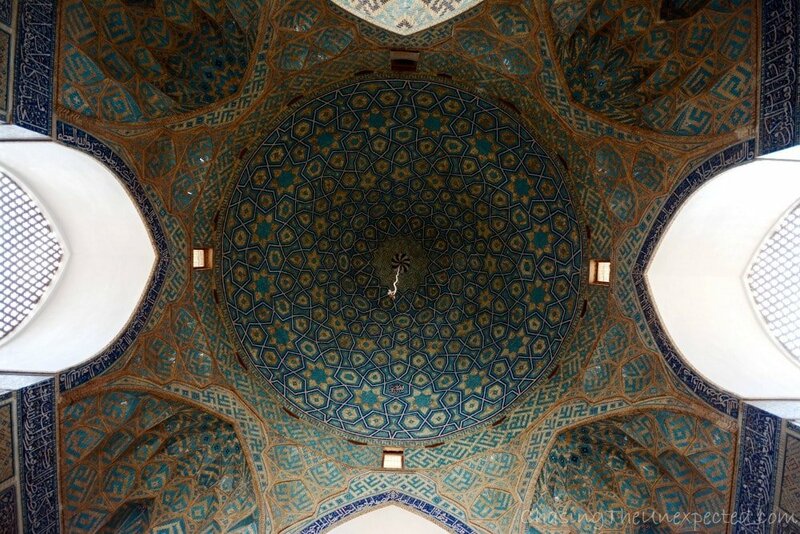 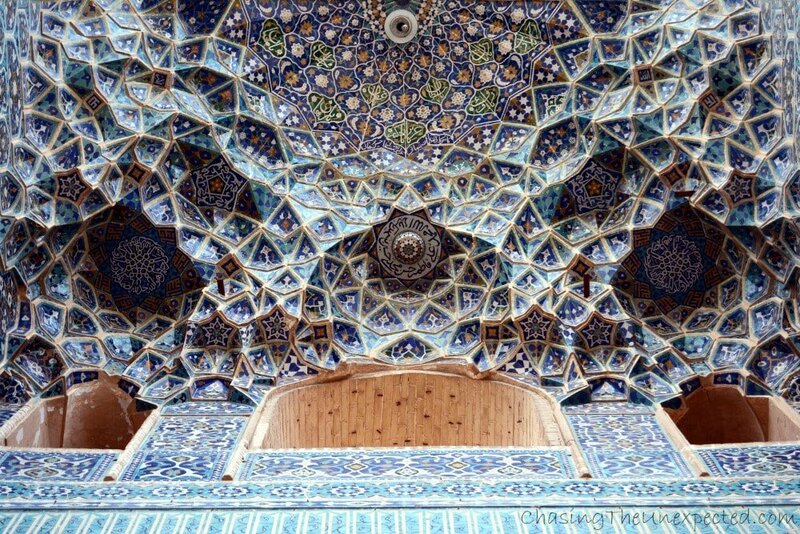 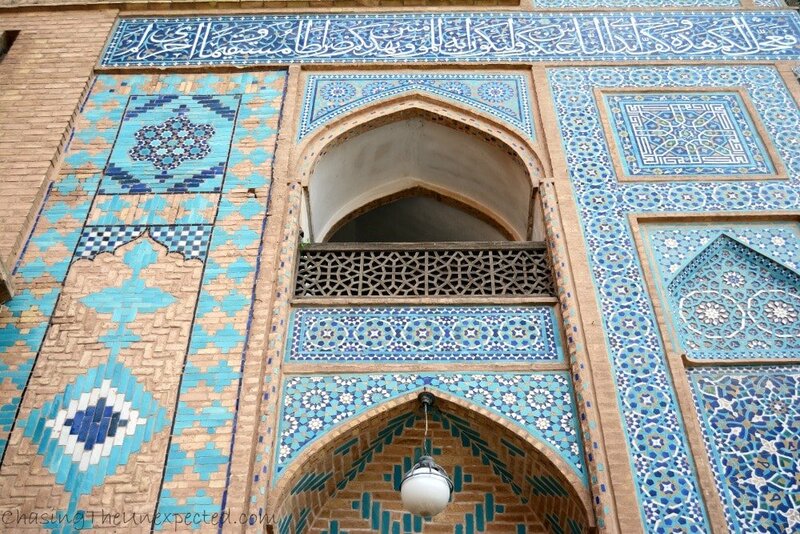 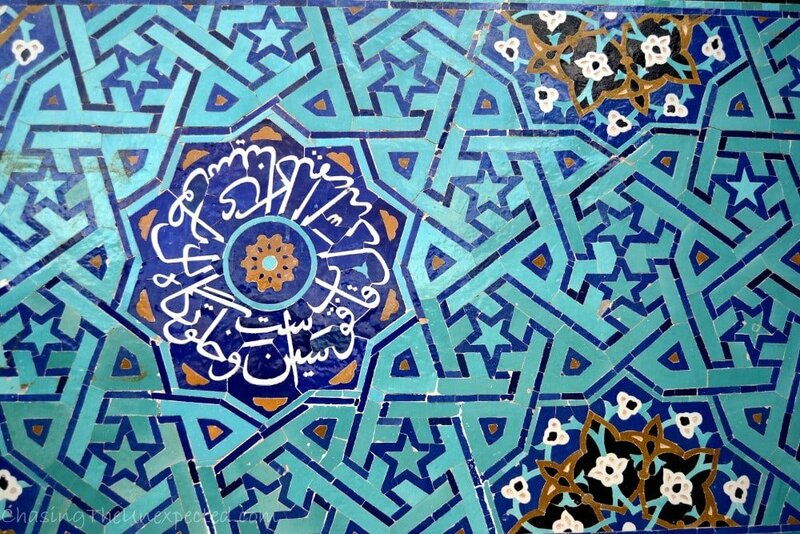 Iranian mosques are always finely decorated, and Yazd Jame Mosque (Jame as the place for Friday prayers as opposed to daily masjids) is one of the most stunning examples of the country’s religious architecture. 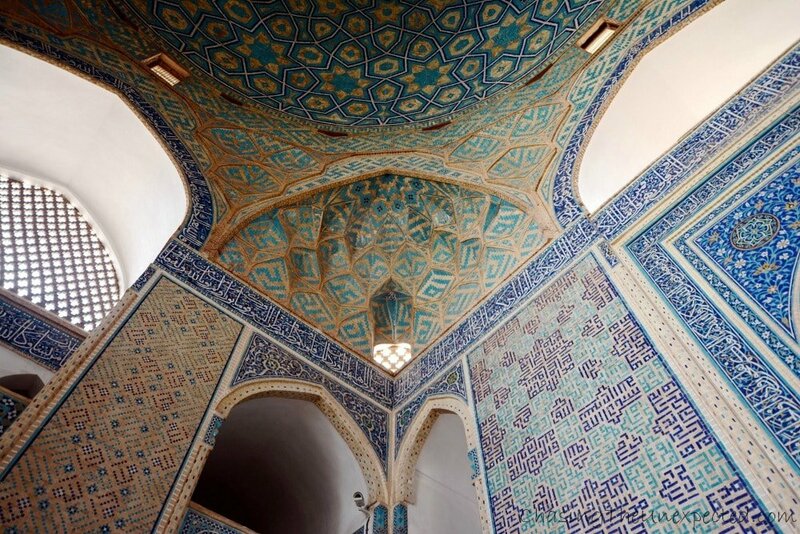 Dating back to the 14th century and located in the heart of the city, it was once in the middle of the city’s pizzazz, set among public buildings such as schools, local markets, libraries and offices. 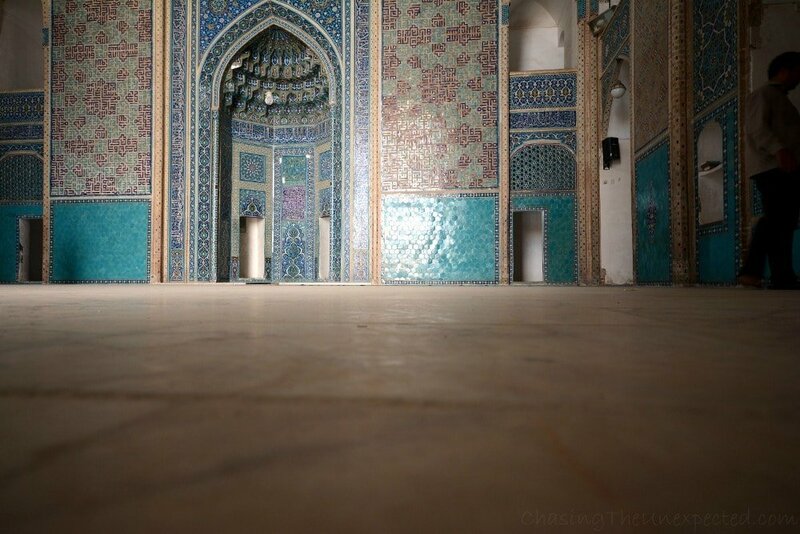 According to some research, the building was originally founded as a Zoroastrian temple dating back to the Sassanid era and was later converted into a mosque during Seljuk rule. 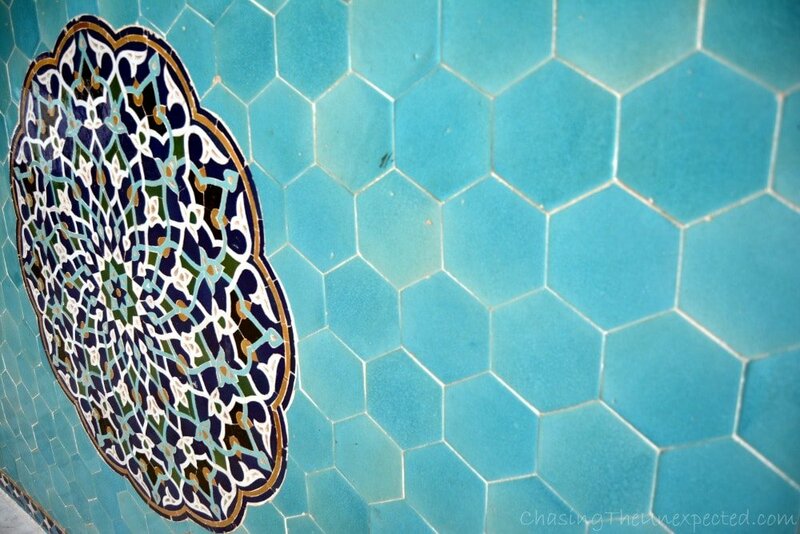 A charming collection of turquoise tiles and sand-hued brickwork creates a spellbinding atmosphere. 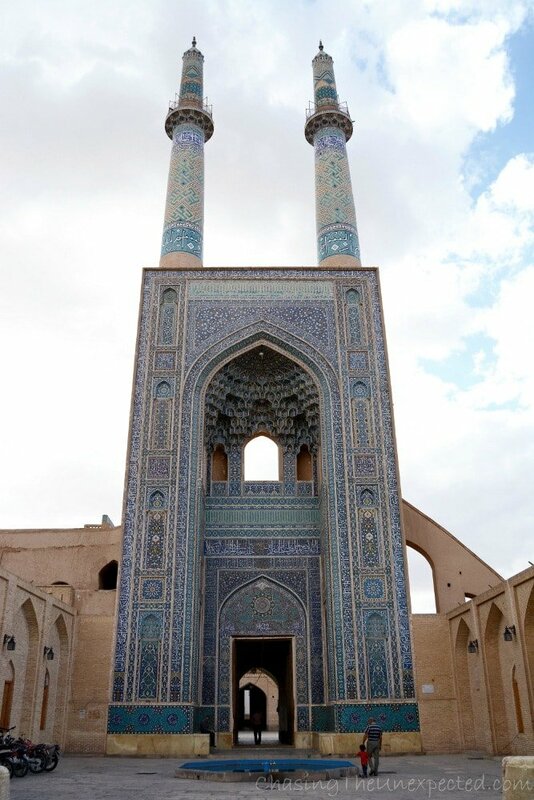 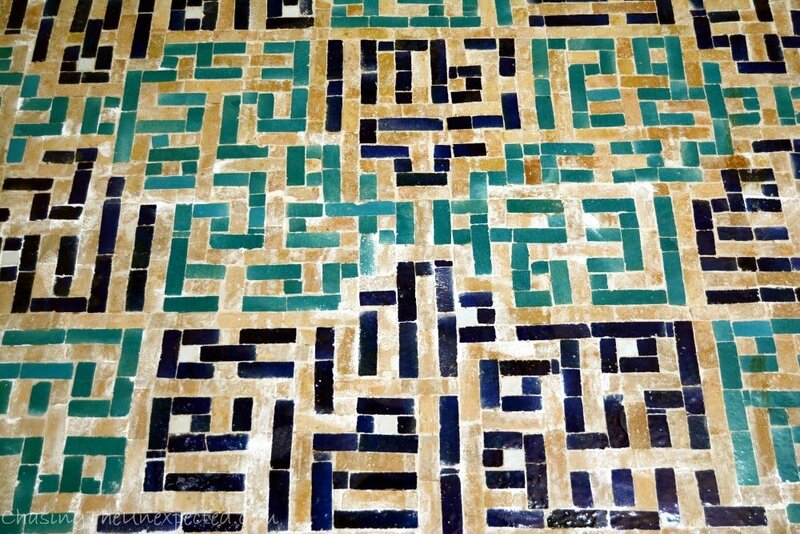 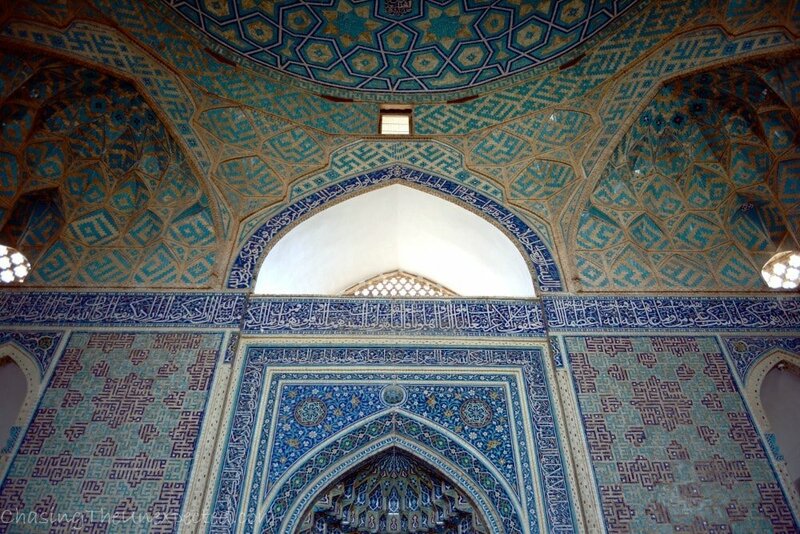 The huge entrance is embellished with verses from the Quran, symbols, laws and deeds, alongside two tapering minarets. 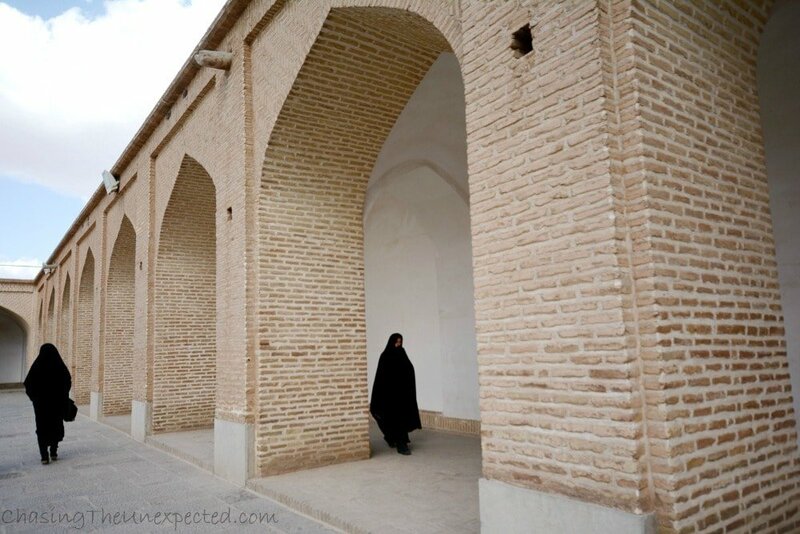 Quickly becoming a popular destination among tourists from all over the world, when I visited, it was beautifully empty and quiet, giving me the chance to indulge in its peaceful vibe. 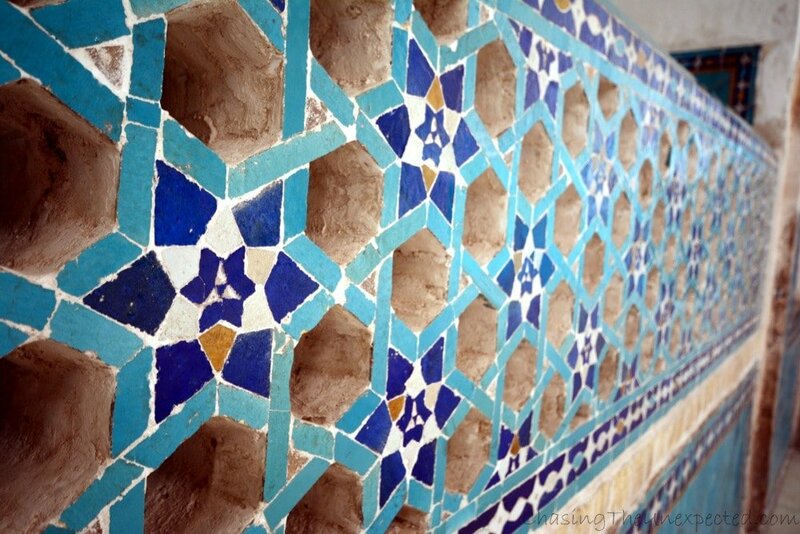 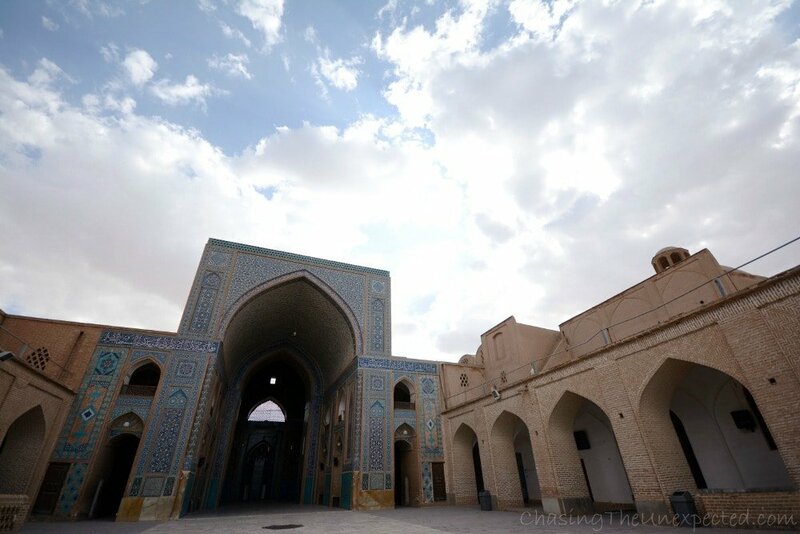 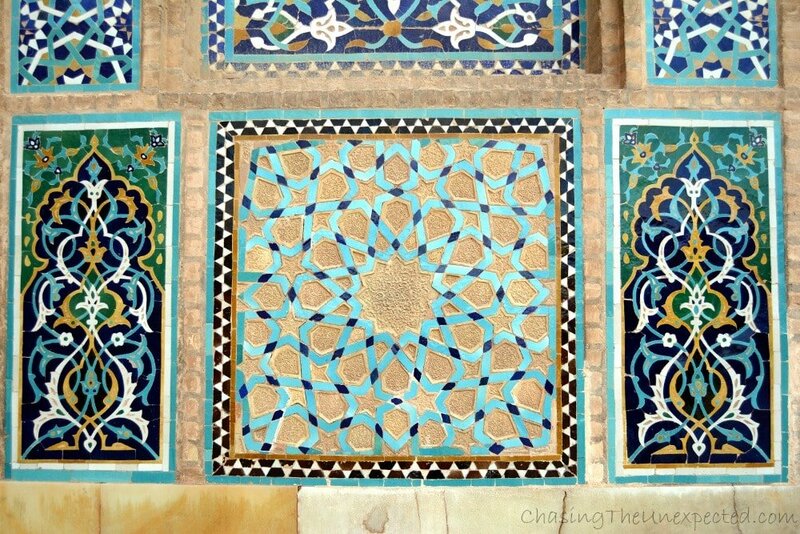 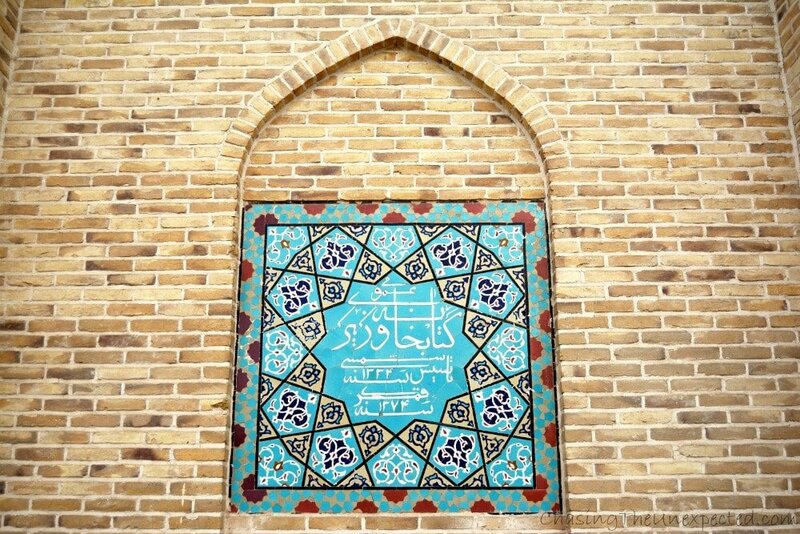 Below is my photo essay with the pictures I took ambling about Yazd Grand Mosque, I hope you will enjoy and, obviously, feel inspired to plan a trip yourself.